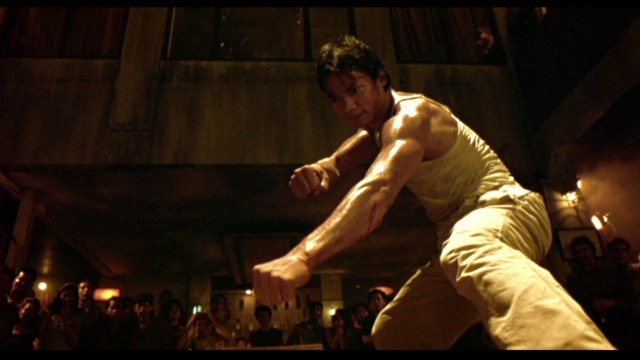 Late 80’s and 90’s Hong Kong Kung-Fu films – that’s where it’s at, for me. The martial arts choreography was innovative, exciting, fast paced, hard hitting, and intense. Even the B-rate movies had decent choreography! I don’t even mind the undercranking technique (speeding up the film ever so slightly and tastefully) used frequently in those times, it actually enhanced the action. They were constantly pushing the boundaries, and basically trying to “out-stunt” each other. Today, while Hong Kong’s film industry still thrives, and produces big budget martial arts films, it feels like a lot of that energy and spirit has left them and gone to other countries. With Ong Bak 1, 2, and 3, Chocolate, The Protector, and Bangkok Knockout, the Thai film industry are proving themselves as up and coming leaders in the martial arts cinema genre. Tony Jaa has tremendous ability and star power. 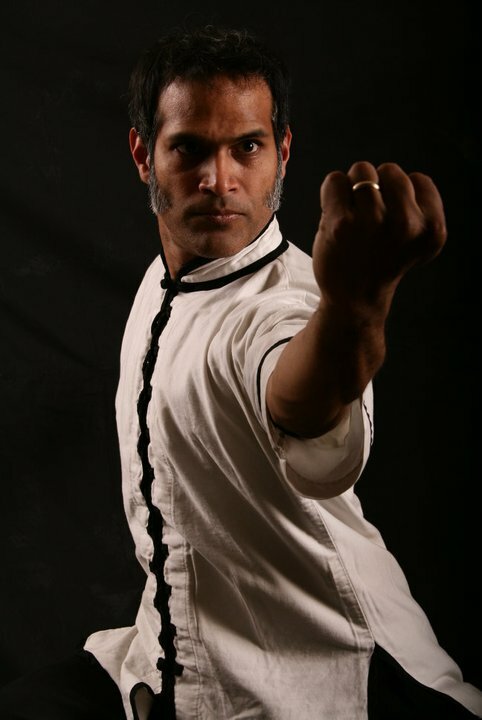 Panna Rittikrai has proven he knows how to choreograph innovative fight sequences. Prachya Pinkaew has proven his abilities as a director and producer of this genre. It is now up to them to start making strong business decisions to keep climbing up. Their combination of that Hong Kong energy with Muay Thai and Krabi Krabong gave cinematic accessibility to the Thai arts. With films such as Fighter in the Wind and The Man from Nowhere, the Korean film industry has proven that it can stage martial arts fight scenes in a compelling way. It will be interesting to see how and what they produce in their action film industry. The combination of that Hong Kong energy with the Korean arts makes it more fluid and dynamic to showcase their arts’ skills. Director Isaac Flourentine, and martial arts actors Scott Adkins and Michael Jai White have inherited this energy as well, and it is apparent in films like Undisputed 2 and 3, Ninja, and Blood and Bone. Sometimes, they produce hits, and sometimes misses. My personal opinion is that they’ve done enough of the tournament movies. Keep moving forward, and don’t pidgeon-hole yourself. The combination of that Hong Kong energy with American kickboxing, Karate, Jujitsu, and MMA has definitely drawn a line in the sand of how to make western martial artists look explosive. The latest newcomer to the martial arts cinema scene, they proved worthiness with Merantau. Director Garreth Evans, martial arts actor Iko Uwais, and choreographer Yayan Ruhian have magical combination that rivals Thailand’s Pinkaew-Jaa-Rittikrai’s team. Merantau was distributed on Netflix, a very smart first move, and then they exploded the martial arts cinema genre with The Raid. The combination of that Hong Kong energy with the brutality of the Indonesian martial art Silat, they are showcasing not only their skills, but busting the stereotype that fluid, dynamic, explosive martial arts choreography has to tame the brutality in favor of athleticism. I think martial arts cinema fans are sort of jaded with the gymnastics of it all, and ready to see some real applications of real self-defense techniques. Perhaps the ongoing success of the films coming from Thailand, Korea, USA, and Indonesia will feed the energy back to Hong Kong. That would be great! But for now, I’m happy to now know who and where to follow for the next over-the-top martial arts film! We loved your article, “Where did the energy go.” Strong narrative content, The content of your article demonstrates your understanding of the relevant desires that we martial-arts-action-enthusiasts want not only to view; but, feel the essence and power flow. We love the manner in which you fully address this subject matter. We agree with you and our thoughts line up with your thoughts because your information is full of thought, insight and analysis. We loved those fights in “Blood and Bone.” The power that guy (Bone) demonstrated was just fantastic. We watch that film over and over again. We loved the acting by all of the characters; but especially enjoyed Pinball and James. The Man from No Where is just off the charts. We enthusiastically rate that movie as superior in every category. When those two dare-devils, Viking-like (Genghis Khan types / Korean warriors faced off; and, then stared each other down in the Night-Club— we could feel the force of each dangerous, cold-blooded rascal. Anyway, thank you for a great article. We look forward to reading more of your great reviews. Peace be with you and stay strong. Thank you so much, PJ Italiano! I thank Michael Moore for the opportunity to contribute my writing to this fantastic site! I look forward to writing more. I thank you for reading, and your undying devotion to quality martial arts cinema! Easily, the post is really the graeetst on this laudable topic. I concur with your conclusions and will thirstily watch forward to your future updates. Saying nice one will not just be sufficient, for the wonderful c lucidity in your writing. I will instantly grab your rss feed to stay privy of any updates. Solid work and much success in your business enterprise! Greetings and Peace Michael, I watched both of those movies; and, they were great. I really like Johnny Nguyen. His performances are always so excitig and full of energy. His physical beauty; and, his magical essence is always thrilling to behold. I will definitely have to check those Vietnamese flicks out! Was there any sort of nod to a Vietnamese martial art style(s) that was used in the choreography? I know Johnny Nguyen’s style is wushu and Japanese aikido, but I don’t know what Ngo studies. I would like to see martial arts movie either from Italia or Sicillia (is Sicillia part of Italy today?) using stilletto. I know you were just making a joke, right? I was looking over my comments when I was going through my venting stage. Anyway, one of my colleagues graduated from Full Sail, we have a director and writer for the documentary film. I understand a lot more now than I did back in April. Oh, and I have stopped venting.